Now that fall is officially upon us, here's a recipe for a flavorful dish that's sure to keep you warm through winter. 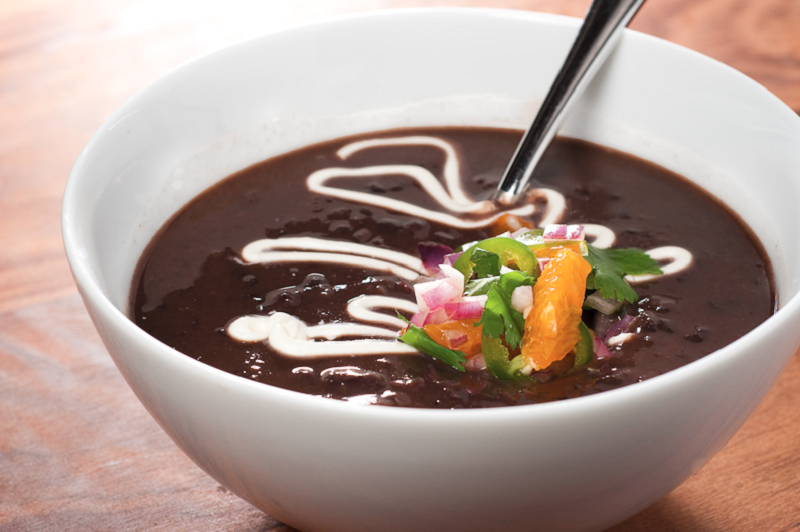 Cuban black bean soup is a hearty meal made using local ingredients that are readily available throughout the island. This beginner friendly recipe can be done in less than three hours, leaving you with just enough time to sit back and savor the rich Caribbean flavors, one bowl at a time. Place beans in Dutch oven and add enough cold water to cover. Heat to boiling. Boil uncovered for about two minutes. Remove from heat; cover and let stand one hour. Drain and reserve beans. In same Dutch oven, heat oil over medium heat. Add onion and garlic; cook, stirring occasionally, until onion is tender. Stir in remaining ingredients. Heat to boiling. Boil for about two minutes. Reduce heat to low; cover and simmer about two hours or until beans are tender. Carefully pour mixture into blender. Cover; blend until almost smooth. Serve warm.